We’d love your help. Let us know what’s wrong with this preview of How To Manage Your Money by Larry Burkett. People often try managing their money apart from God's plan. Bad plan. Until people have an attitude change about money, it will continue to control and confuse them. 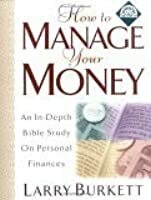 How to Manage Your Money is an excellent tool to get readers on track toward a liberated financial life. 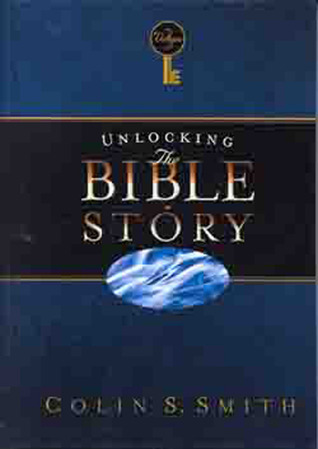 This newly repackaged bestseller contains updated material and a step-by-step, in-depth study of God's p People often try managing their money apart from God's plan. Bad plan. To ask other readers questions about How To Manage Your Money, please sign up. Larry Burkett was an American author and radio personality whose work focused on financial counseling from an evangelical Christian point of view. Burkett was born the fifth of eight children. After completing high school in Winter Garden, Florida, he entered the U.S. Air Force where he served in the Strategic Air Command. Upon completion of his military duties, Burkett and his wife Judy returned t Larry Burkett was an American author and radio personality whose work focused on financial counseling from an evangelical Christian point of view. Burkett was born the fifth of eight children. After completing high school in Winter Garden, Florida, he entered the U.S. Air Force where he served in the Strategic Air Command. Upon completion of his military duties, Burkett and his wife Judy returned to central Florida, where he worked in the space program at Cape Canaveral. He spent the next several years at the Space Center in charge of an experiments test facility that served the Mercury-, Gemini-, and Apollo-manned space programs. While working at the space center, Burkett earned degrees in marketing and finance at Rollins College. Burkett left the Space Center in 1970 to become Vice President of an electronics manufacturing firm. In 1972, he became an evangelical Christian; an event that had a profound effect on his life. In 1973, he left the electronics company to join the staff of a nonprofit ministry, Campus Crusade for Christ, as a financial counselor where he met Austin Pryor, Ron Blue and other notable financial experts. 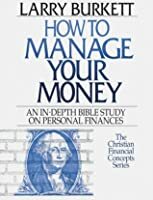 It was during this time that he began an intense study of what the Bible says about handling money, and he started teaching small groups around the country. Burkett left the campus ministry in 1976 to form Christian Financial Concepts (CFC), a nonprofit organization dedicated to teaching the biblical principles of handling money. In September 2000, CFC merged with Crown Ministries, creating a new organization, Crown Financial Ministries. Burkett served as Chairman of the Board of Directors until his death.